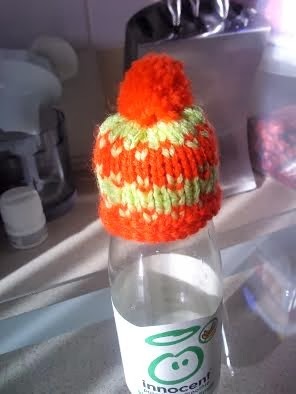 This is a lovely thing to do and the hats great fun to make. Here are mine so far. 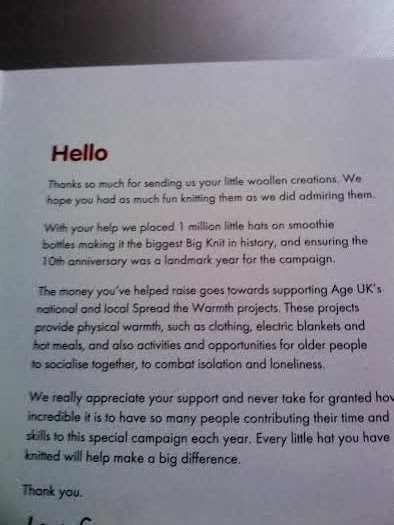 So 7 hats that will eventually be part of the BIG KNIT 2014. 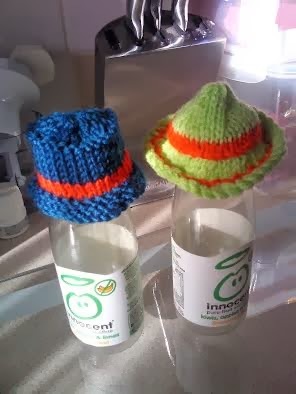 I bought two bottles of Innocent Smoothie so that I could not only have a nice drink but they are handy to make sure the hats fit with ease. 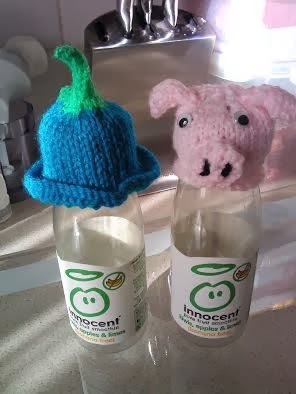 I like Piggy a lot and will try out different animals as they are fun. 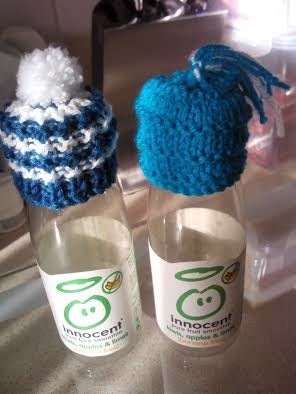 I will keep them in a bag and by the time the BIG KNIT comes around I should have a fair amount to send off. 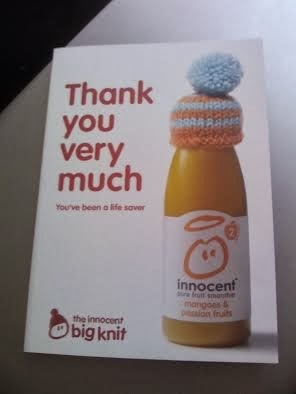 I had a nice surprise in the post as this. That made my day I did not expect to get this so it was a really nice surprise. 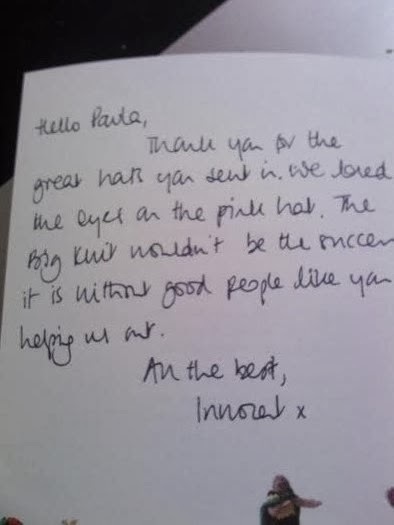 This was the other message in the card. It is always nice to know that people appreciate what you have done and for them to do this means a lot. Thank you more will be made later I am trying out some new ideas.